Location: North side of A548 adjacent to the northwest shore of the Clwyd Estuary. Notes: Foryd Pier Station was located at the northern end of a 1.4 Mile Branch line that connected the Vale of Clywd Railway to the northwest shore of the Clwyd Estuary at Foryd. It appears that the branch, which officially received Royal Assent on the 30th June 1862 had been constructed as a temporary track before that date. Evidence suggests that a Station opened on this unofficial branch in August 1859. It may have been used by passengers. In its final official form the branch left the Vale of Clwyd line from a point just to the south of the Foryd Station, passed under the Chester and Holyhead line and connected to Foryd Pier. 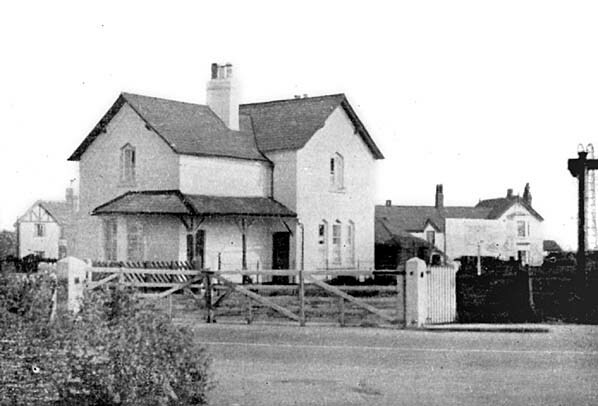 The branch was constructed primarily for goods services but a passenger station was provided at Foryd Pier. Publicity issued in August 1864 stated that passenger services would soon begin. The plan was that the station would connect with steam ships that ran from Foryd Pier to Liverpool. It appears that this plan was never realised although it is possible that some excursion services ran from the station. Foryd Pier Station was located on the north side of a level crossing which carried the line over the Coast Road. A single platform and basic facilities were provided. Goods facilities, including a goods shed were also located at Foryd Pier. By 1864 the branch was being operated by the LNWR who absorbed it completely in 1867. Little is known about the early years of the line but it is known that in early LMS days it was served by three goods trains each week. They ran as ‘trip workings’ from Rhyl on a Tuesday, Thursday and Saturday. By the 1930s this service had increased to a daily trip working which continued after nationalisation in 1948 and right up until the line closed on the 1st April 1959. A Railway Magazine Article of 1957 reported that the station platform was still extant at that time. Today there is very little to show that a railway ever existed at this location. From Chester to Holyhead, The Branch Lines, Bill Rear, ISBN 0 86093 569 8.
view point as the picture above. 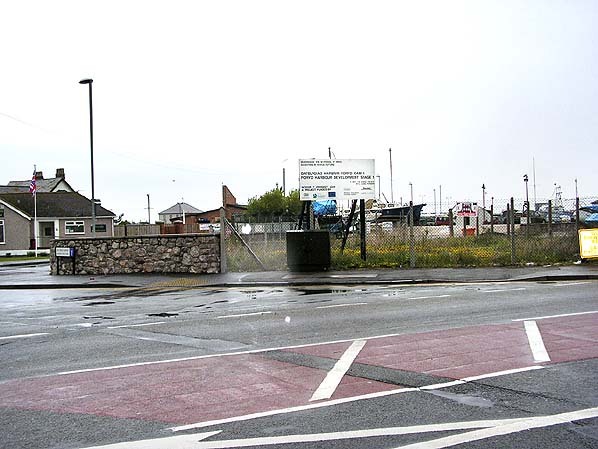 The site of Foryd Pier station in May 2009. 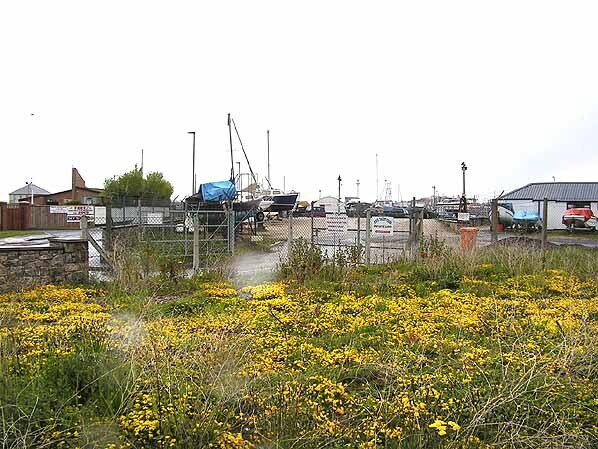 The station site and goods yard is now a boat yard.